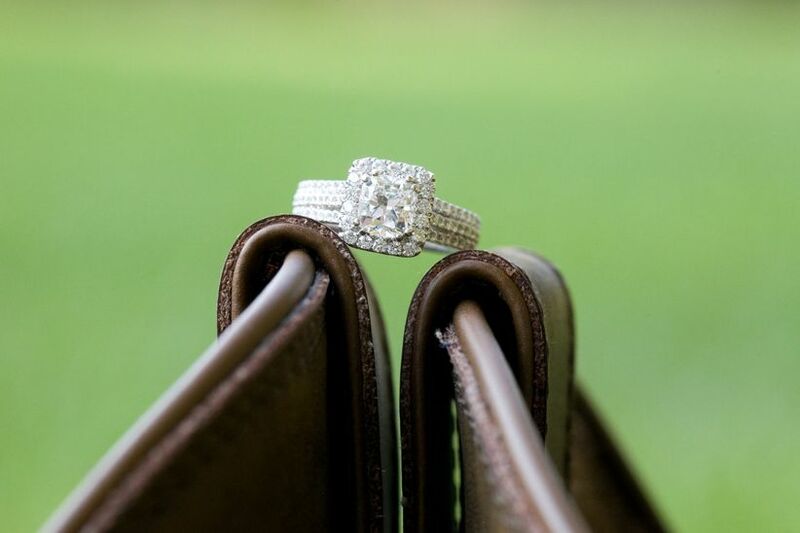 Do You Need Engagement Ring Insurance? 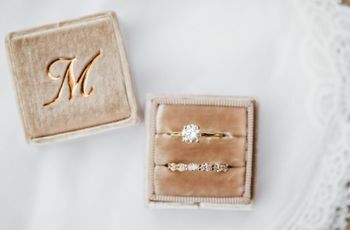 Planning on getting engagement ring insurance? Here's everything you need to know about this important step. After all the anticipation, there’s nothing as exciting as seeing that shiny new ring on your left hand. (Go ahead, look at it again before you keep reading!) So now that you’re wearing an engagement ring every day, you’ll do just about anything to keep it safe. 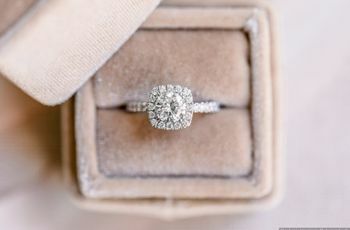 And when it comes to protecting this (incredibly valuable) symbol of your love, the first thing that comes to mind is engagement ring insurance. You may have shopped for insurance before, whether it was to cover your doctor visits or to protect your home or car, but is the process of getting jewelry insurance the same? And unlike those other major types of coverage, do you actually need to insure your engagement ring? 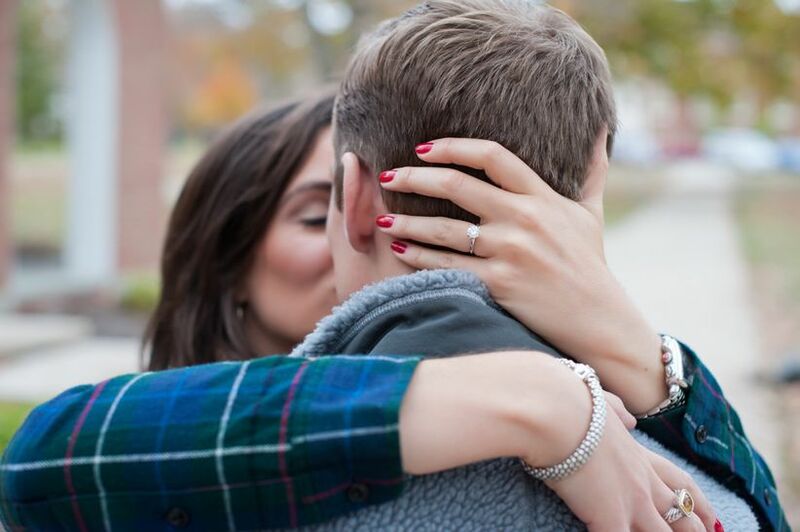 If you’re considering engagement ring insurance, check out this helpful Q&A. Jewelry insurance provides coverage if your ring is accidentally lost, damaged, stolen, or mysteriously disappears. 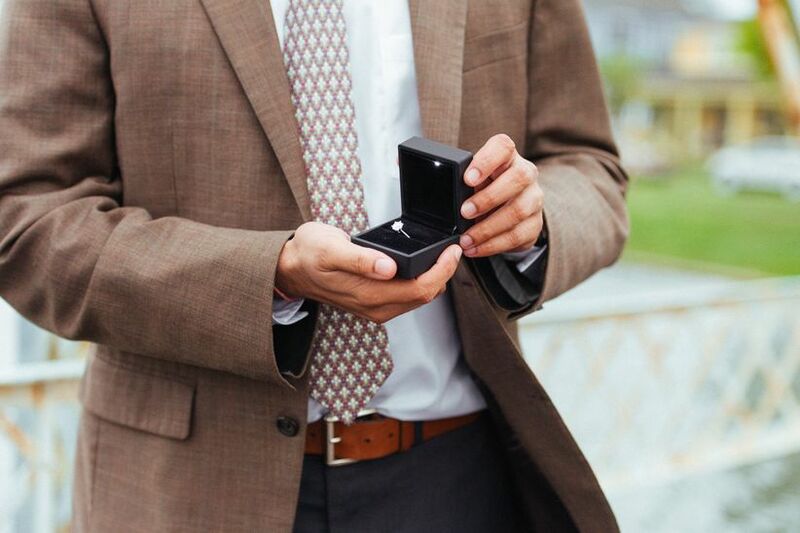 Jewelry insurance companies, like Jewelers Mutual, offer comprehensive coverage that goes above and beyond what your standard homeowner’s or renter’s policy covers. With jewelry insurance, you can cover the full value of your engagement ring, purchase coverage that goes with you anywhere in the world, choose the jeweler who will provide repairs or replacements, and get a replacement ring of the same kind and quality of the original in case of loss or theft. Can’t I just add my jewelry to my homeowner’s policy? You can, but there are limits to a homeowner’s policy. Your jewelry will only be protected against specific causes of loss, and up to a specified dollar amount. If you do decide to add jewelry to your homeowner’s policy, opt for a jewelry-specific rider that includes the full replacement value against most causes of loss. Homeowner’s policies will send you a check for the amount your jewelry is insured for, in the event of a loss. It will be up to you to try to get something similar to what you had before. A jewelry-focused insurance company will work with your jeweler of choice to find a same-kind-and-quality replacement for your jewelry. That means all the work is done for you by someone who specializes in fine jewelry. A jewelry claim against your homeowner’s policy could affect your entire policy: Your premium could go up or your eligibility could be affected at renewal. With a standalone jewelry policy, those small and easily misplaced valuables are covered separately from the rest of your belongings, meaning your homeowner’s policy isn’t affected. 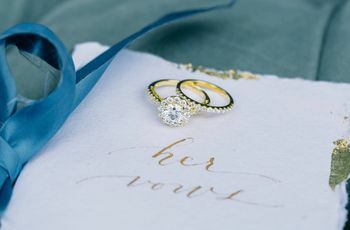 After getting engagement ring insurance with a homeowner’s policy, you’ll likely set it and forget it - meaning the insured value will stay the same, even if the market value of your jewelry changes. That makes it nearly impossible to get a claim payment that’s significant enough to repair or replace your jewelry. What is the benefit of having an insurance policy for your engagement ring? Jewelry insurance provides peace-of-mind, so you can wear your ring knowing the policy will cover repairs or a replacement. Do I really need ring insurance? You probably do, but if you feel you can pay for the cost to repair or replace the ring on your own, you may not feel the need to insure it. 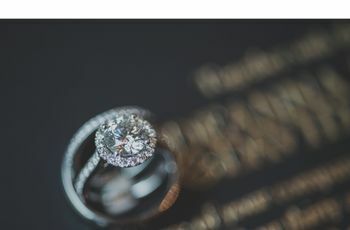 However, if your engagement ring is of significant value (either monetary or sentimental and most likely, both) and you want to be sure that you can have it repaired or replaced, it is worthwhile to look into having the piece insured. What else is covered by a policy? Can you add other items? Any jewelry item can be covered with jewelry insurance. In addition to engagement ring insurance, this would include wedding bands, earrings, bracelets, other rings, watches (including smartwatches! ), and even loose stones that are waiting to be set. What isn’t covered by a jewelry insurance policy? Of course, no insurance will cover absolutely everything, but jewelery insurers are usually quite comprehensive. Things that aren’t covered are mostly uncommon causes of loss, like war or rodents. Note that routine maintenance is not covered by your policy. Things like ring resizing, cleanings, inspections, and appraisals are not included -- but check with your jeweler, because some of these might be complimentary and included with the purchase of the piece. And don’t forget to read the fine print on your specific policy, including details around your obligations when a loss occurs, how much you owe if you have a deductible at the time of a claim, etc. Is there a minimum value that the jewelry needs to hold in order to qualify? Any value that would be difficult or a financial burden to replace is an item worth insuring. Jewelers Mutual does not have an item value minimum, but they do have a minimum annual premium. Most states have a minimum premium of $25. 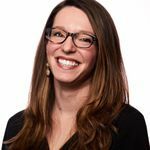 What kind of documentation is needed in order to get engagement ring insurance? Appraisals are not required for all applications, but are needed for high-value jewelry. You will be notified during the application process if an appraisal or other documentation is required. In the event of a claim, an appraisal, evaluation, or detailed receipt is necessary. It’s difficult to guarantee a same-kind-and-quality replacement without the details of the original item. Therefore, if you apply without an appraisal, lose a piece of fine jewelry, and file a claim, the process won’t be as smooth as it would be with an appraisal on file. What are the costs of a jewelry policy? Rates depend on where you live. For most people, insuring jewelry costs 1-2 percent of its value. For example, a $5,000 ring usually costs around $50 per year to protect. Whether your premium is 1 percent, 2 percent or somewhere in between is based on our historical losses for the residential location of the jewelry wearer. If the person applying for insurance lives in a different state than the person wearing the jewelry, we use the residence of the wearer to determine the premium. Your deductible choice will also affect your premium. (Remember, a deductible is the amount of money you have to pay out-of-pocket when you file a claim.) The higher your deductible, the lower your total annual premium will be. Finally, keep in mind that each state has its own policy minimum, usually $25 or $30.